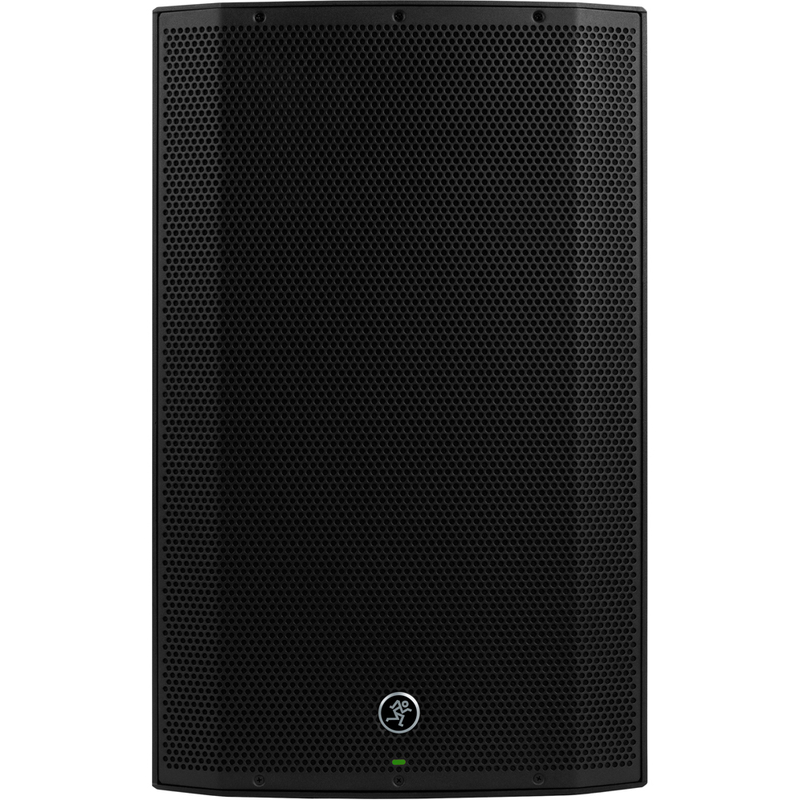 The Mackie Thump15BST Active PA Speaker is the latest addition to the Thump series, featuring a completely redesigned enclosure and modern electronics. 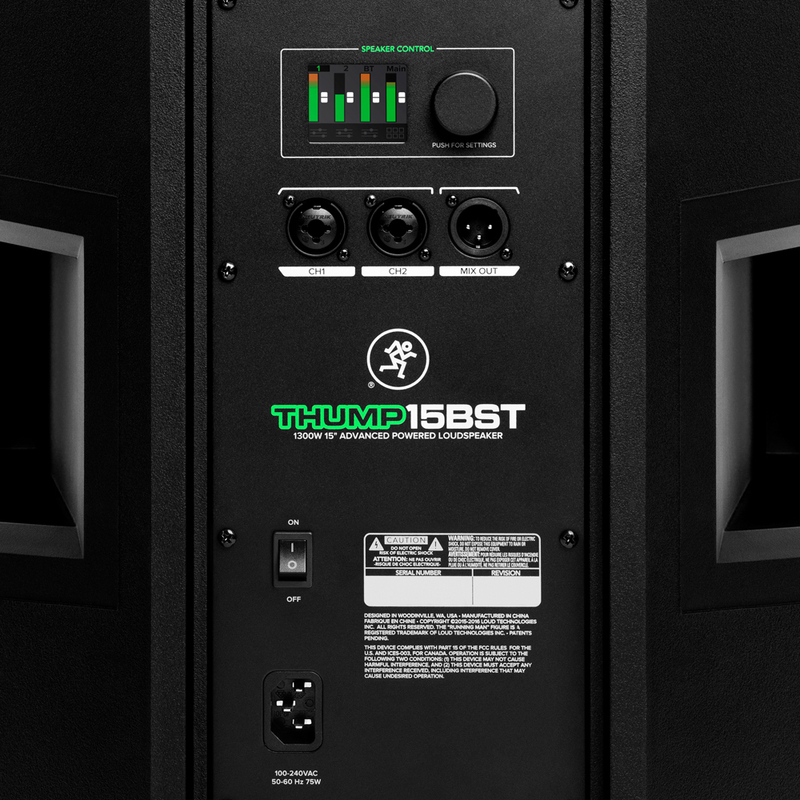 The Thump15BST is equipped with a new, powerful 1300 watt class-D amplifier with next-generation system protection and a universal power supply with power factor correction. The Dynamic Bass Response technology combines with the 15'' woofer and 1.4'' titanium compression tweeter to produce incredibly fast transient highs and deep, room-filling lows. The Thump15BST provides versatile Bluetooth connectivity which allows you to wirelessly stream audio from any Bluetooth-equipped device and combine two speakers together with no link cables. 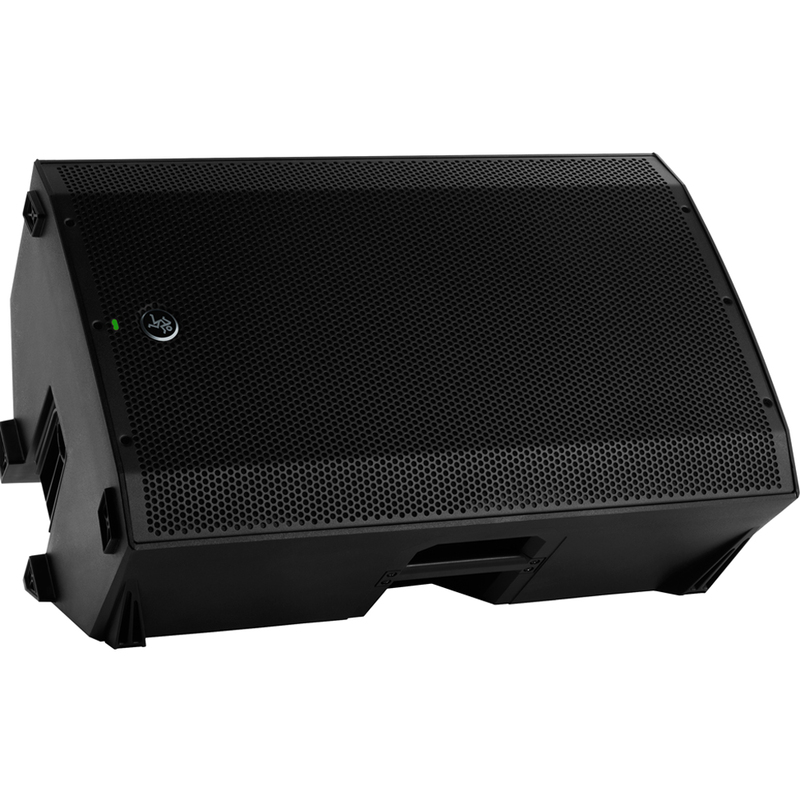 Complete with an integrated mixer and an innovative DSP section, the Mackie Thump15BST is perfect for both front of house and stage monitoring applications in a range of performance environments. Both of the new Boosted models - the Thump12BST and the Thump15BST - are equipped with the latest Bluetooth technology which allows you to wirelessly link two Mackie Boosted speakers together. 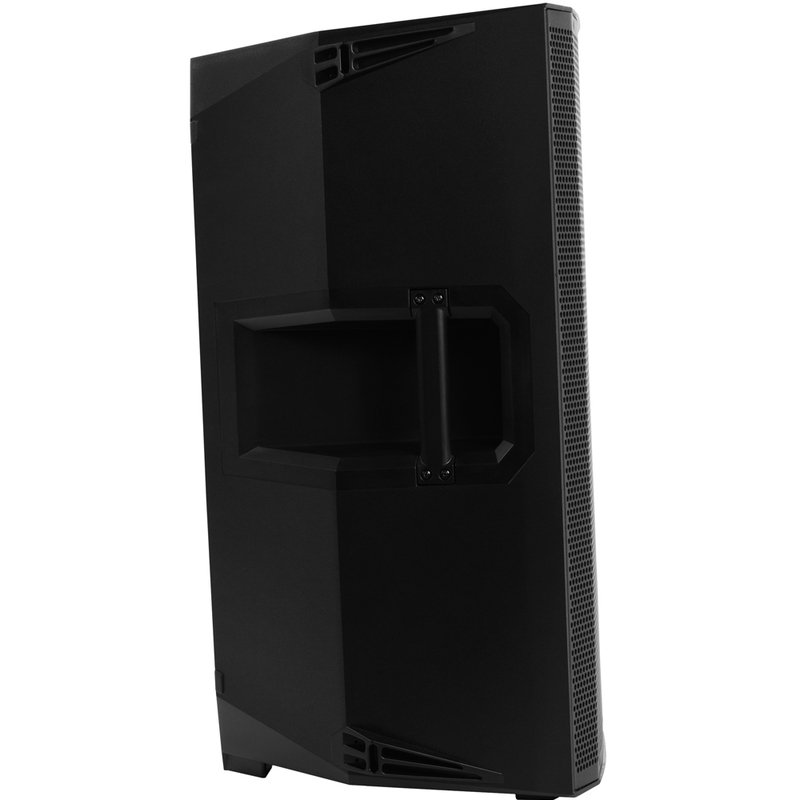 Delivering a reliable connection and a range of up to 100 metres, you have the ability to create powerful stereo or dual-zone systems without the need for traditional linking cables. The Thump Connect™ app provides you with complete control over the entire system and allows you to further optimise the sound from anywhere within the venue. Simply connect any iOS or Android smartphone/tablet via Bluetooth to quickly access everything from levels, EQs, meters and even three user-selectable system presets. Thump Connect™ can be used to control multiple Thump Boosted speakers, all in one comprehensive and intuitive view. The Thump Connect™ app is available for iOS and Android devices. The app has a demo mode which allows you to explore every feature before purchasing the Mackie Thump Boosted loudspeakers. 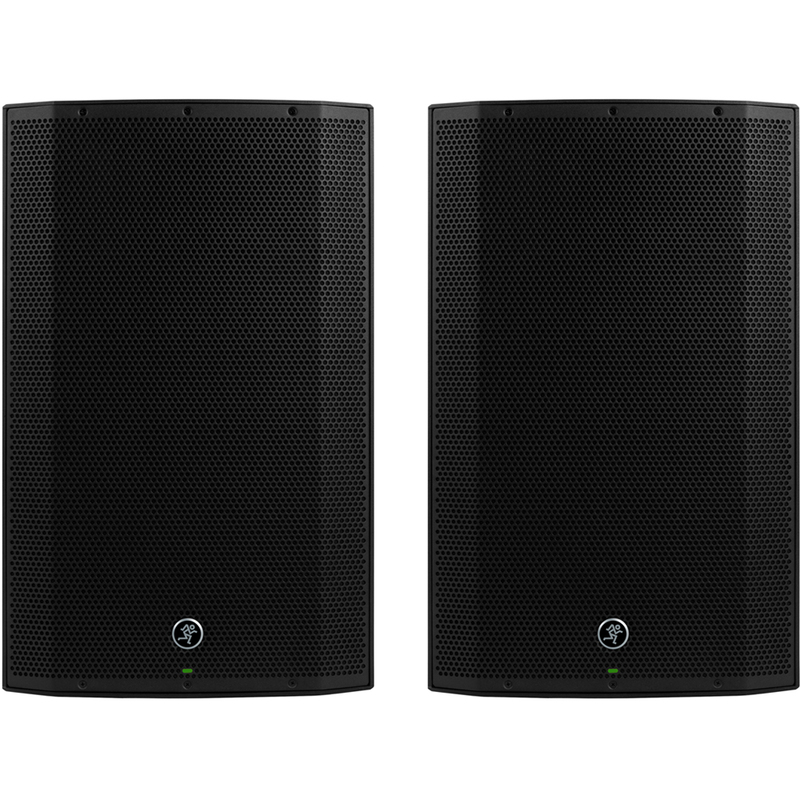 The Mackie Thump Series active loudspeakers utilise a new and incredibly efficient 1300 watt amplifier with Dynamic Bass Response™ technology. By taking advantage of a higher voltage power supply, the amplifier within the Thump15BST has an exceptionally fast response to both transients and bass heavy music - delivering the maximum power and ''chest-thumping'' bass that the Mackie Thump Series loudspeakers are renowed for. The rear panel of the Thump15BST active speaker features a built-in three channel mixer with XLR/TRS input connectors and an XLR output connector. Each of the inputs have digitally controllable Vita™ preamps with Wide-Z™ technology which makes them capable of handling microphones, instruments and line level signals without the need for any additional equipment or adjustments. Additionally, the integrated mixer provides a 3-band EQ with variable high-pass filters and an innovative DSP section with six application specific voicing modes which make it quicker to setup the system and instantly optimise the Thump15BST for a range of applications.